Eine Make Up Base gehört zu meiner täglichen Schmink-Routine. Ich habe schon so einige ausprobiert – es gibt gute und es gibt schlechte. 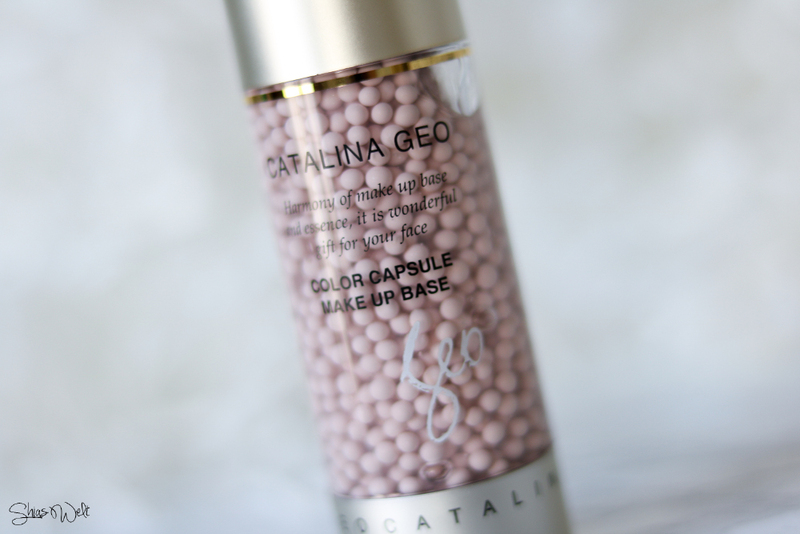 Meine neuste Base ist die Catalina Geo Color Capsule Makeup Base in Pink. Eine Color Correcting Base. A make up base is the essential of a good and lasting make up. My favorite at the moment is still the Etude House Face Blur one but i always like to try new ones. 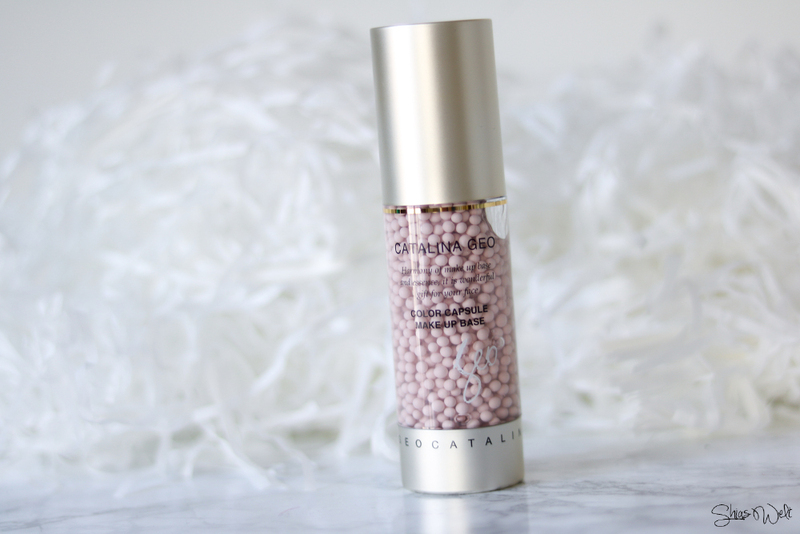 Especially color correcting ones are super interesting for me, so i was really happy when i received the Catalina Geo Color Capsule Makeup Base in Pink, which contains pearl power to brighten up dull and pale looking skin. Catalina Geo belongs to Lamy Cosmetics – Lamy Cosmetics is a Korean cosmetics company with 6 different cosmetics brands: Renoma, Geo, Sortie, Mennen, Catalina Geo, and Lafine. The packaging is simple but because of the content it looks quite fancy. The bubbles burst when you pump the product. 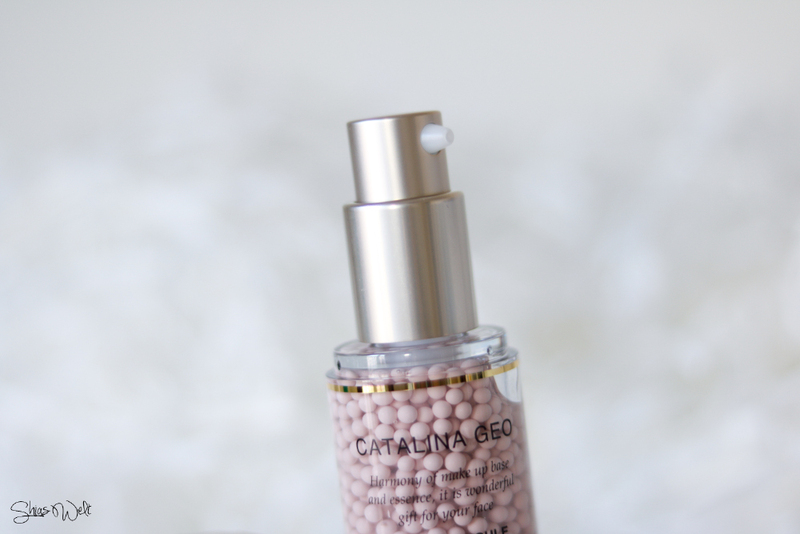 The Catalina Geo Color Capsule Makeup Base contains essence (hyaluronic acid) and UV filter (titanium dioxide), it also acts as moisturizer and gives sun protection. So it’s a base that does a lot for your skin. I really like the pump – it’s easy to use and to apply. Thanks to the see through bottle you see when the product comes to an end. I just need one pump for my entire face because it get quite watery after applying it to my face. 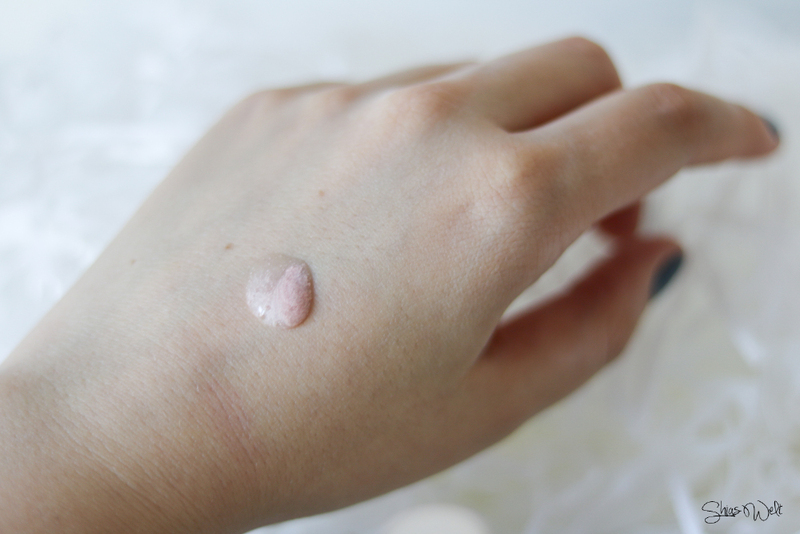 You can see the bursted bubble on ,y hand – after massaging it into my skin it really brightens it. In the light you can see slightly shimmery particles. Don’t worry you don’t look like Edward Cullen after using it – but you can see the shimmery parts a bit. The base sinks into the skin very quickly and you can see the effect directly. It doesn’t get flaky and applying make up is no problem after using it. The base is nice but not the best I’ve ever tried. It’s very moisturizing so perfect for everyone with dry skin. The Catalina Geo Color Capsule Makeup Base retails from KMall24 for 42.75 US$ – quite expensive. Hyaluronsäure und Sonnenschutz klingen ja wirklich gut, aber der Preis ist schon ganz schön heftig! Ich hatte mal eine ähnliche vom Body Shop, mit der ich aber leider überhaupt nicht klar gekommen bin. Hast du einen Tipp für eine gute Base für ölige Haut?